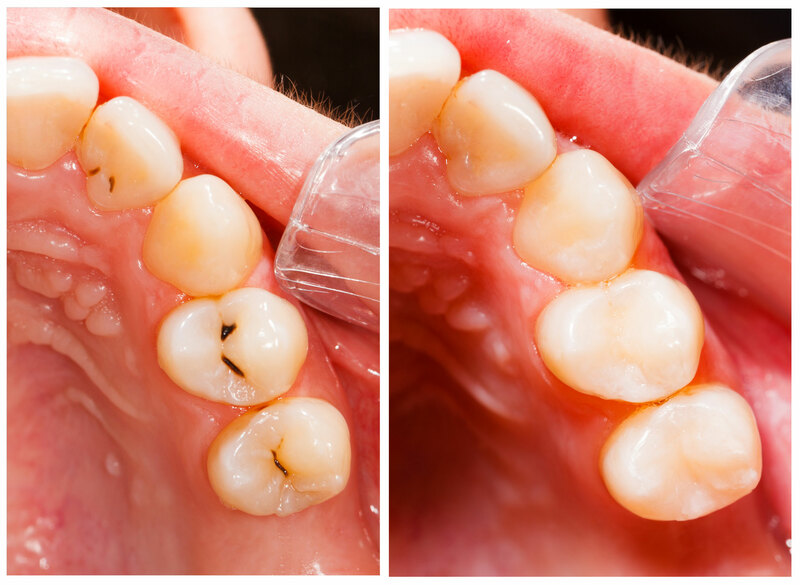 If your tooth has been damaged through decay, a dental filling will restore your tooth back to its normal shape and function. White dental fillings have started to become more popular in recent years, our patients love the fact that they look more natural compared to the traditional silver fillings. Are White Dental Fillings as Good as Silver Dental Fillings? White dental fillings used to be seen as being less long-lasting than traditional silver amalgam fillings, but new materials have meant that this is no longer the case. How long a white dental filling will last depends on the position of where it is in your mouth and how heavily you bite together. Composite (Plastic) Resins – Composite dental fillings are matched directly to the colour of your teeth. The ingredients are mixed and placed directly into the cavity where they harden. Porcelain -These dental fillings are custom made and then bonded to the tooth. They can be matched to the natural colour of your tooth and will resist staining from tea, coffee and red wine etc. How Much Do White Dental Fillings Cost? Many patients often ask “How much do white dental fillings cost?” It is impossible to give you an accurate price for white dental fillings without having first met you, so we always recommend booking a free initial consultation to talk through your treatment and finance options. On average, white filling cost from £98.